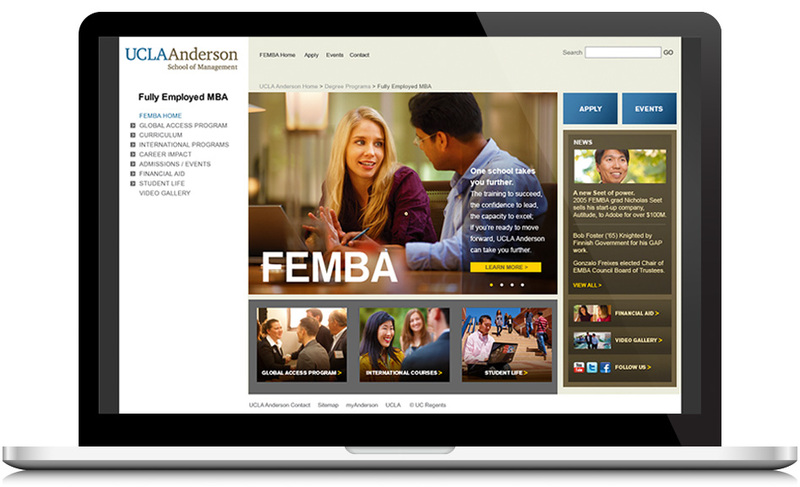 UCLA’s renowned Anderson School of Management was looking to improve its positioning and overall communications strength in two key programs: FEMBA, the Fully Employed MBA program and EMBA, the Executive MBA program. RCG began this project by conducting in-depth interviews with key administrators, students, and recent alumni. The main focus of the interviews was to gain better understanding of the motivation and concerns of individuals pursuing different types of MBA programs. We also wanted additional insight on students’ perception of the program and where they hoped to take their professional careers. We prepared reports for each program, detailing key findings along with recommendations for communication platforms. 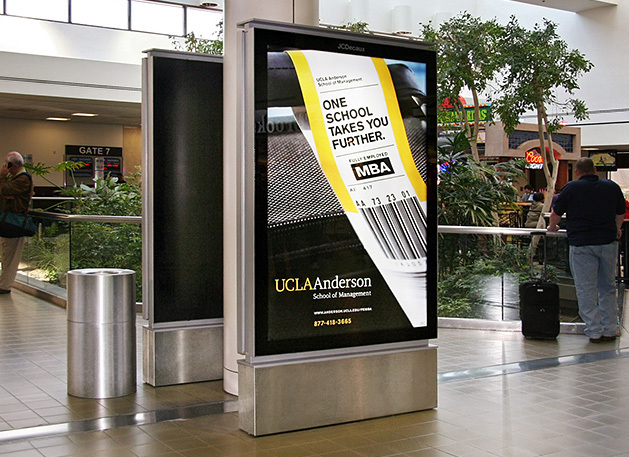 RCG developed creative briefs that captured student motivational aspirations and reinforced key UCLA brand program strengths. 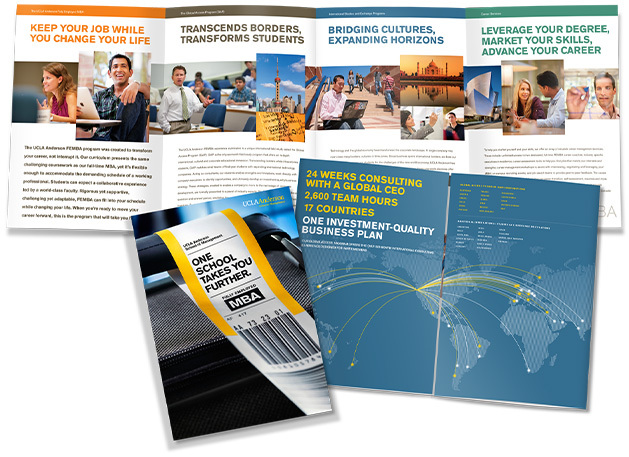 Based on our findings, new program materials were produced including advertising, brochures, posters, and an updated website.